Booked online for a 11am appointment and was seen at 11am. Jamie kept me informed while Luke did the tyre changes. Great service and both very polite. No waiting and the tyre I needed was in stock. Friendly staff. Polite & professional. Luke at Luton branch is a credit to your company. Friend helpful staff who dealt with me in a quick efficient manner. I have used National in Luton for many years, Luke who fits the tyres is always polite, knowledgeable and courteous and the manage Khabel is always helpful and friendly. Friendly and efficient staff. The tyres were fitted the next day perfectly and the price was better than elsewhere. Excellent service on a Sunday when there was a bit of an emergency - walked to car to go to work only to discover I had a flat tyre. Very kind and approachable staff. Fast, professional and honest service. The manager who dealt with me was extremely helpful and gave me a discount. Exceptional service, prompt, efficient, friendly. 40 minutes from arrival to driving away with the new tyres. Easy to book online. Time booked was honoured. They were really helpful as we have an issue with one of our tyres so they refused to do the tracking as we would be wasting money until we fixed the cam. Luke the technician was extremely competent and professional. He had a high level of customer service skills and I met other repeat customers who said the same. Fitter came to my house and did an excellent job. Very polite and customer focused. Gave good clear advice on the condition of tyresand when to look at renewel etc. Had courtesy calls to let me know when the fitter was expected. this was a great helpplanning my day. Good customer service & quick. Quick, efficient and friendly, we're willing to give advice on other matters without pushing a sale. The service I received from fitter Luke Ziemelis was excellent. Also Chris Brewster offered great customer service. 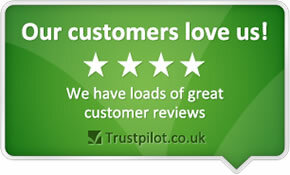 The staff that dealt with me were helpful, polite and unusually I felt I could trust them. Having worked in the motor trade I do know that upselling stuff that isn't required quite often happens. Very good service and advice given at a reasonable price. Brilliant service, even when short staffed. Friendly and efficient. Polite, and friendly staff, and quick service. Have always trusted national tyres over other autocare companys & have been proved correct, many times. Excellent customer service. Helpful, friendly and honest. Very efficient service, professional friendly staff. From blow out on roadside early morning I made one call and Mallisa the young call handler had made all the arrangements to get me back on the road and tyre ordered and replaced at a branch of my choice same day including the lads at the Luton branch doing a great job. Good service and competitive price. Very professional staff. polite reception desk, good and speedy service, extra advice given about my car when asked and will happily return to them to get my other tyres replaced at the end of the month. Staff were polite and professional and were very helpful. Good and quick service, no need to wait in a queue. Friendly and approachable staff that is willing to help and advise you. I found the two guys who did my megane very professional indeed. They were quick, and I already knew I was getting a good price on my tyres. Your Luton branch is extreamly good, the fitters there (particularly Paul Reynolds) offer an excellent customer service experience. Always very efficient, hard working, helpful, fair, attentive to customers needs and very polite. A real credit to your company compared to some of the other bracnches where I have encountered a completely different experience. Generally service and advice very good. Always helpful. They explain what they are doing and I trust them. My local branch gives me an estimate for a job and then the price charged is the same. The job id done quite hastenly and very clean. Staff are good and not rasist like other places. Staff very helpful when I arrived. They quoted a price but warned me that it may be higher depending on what they find whilst they are doing the job, but the price I paid was as they originally said. I was sure that there would be some additional costs, but there weren't. I've had no problem with the quality of their work. Staff are always polite and the advice and service is always excellent. An honest assesment of the problem. Ability to solve the issue quickly. Friendly and helpful service. Good price. No hard sell to try and get you to buy other things. Quick service, good price but most importantly the fitters customer care was great. Reasonable prices and friendly, efficient service. Good price. Staff seemed genuine, fast & efficient.